In the olden days (before this National led Government and National Standards), we had the National Education Monitoring Project (NEMP). Rather than focusing on dodgy raw data to compare and shame schools, the project did useful qualitative research. In those days it was widely accepted that a child's background was a large influence on achievement, but this research took a cross section of children in years four and eight, from all over the country, and and assessed their knowledge and skills in different curriculum areas. The published results provided teachers with in depth analysis of where the gaps existed and the activities used to support the research provided many great ideas to enhance teaching and improve assessment. This Government has arbitrarily decided that we need only focus on literacy and numeracy to determine a child's level of capability and we have reached a situation where achievement overall appears to have plateaued and girls appear to be progressing faster than boys. 10% more girls are now achieving NCEA level 3 than boys, and the difference is growing. Ten years ago, Prof Terry Crooks from NEMP presented a paper to the combined annual conference of the Australia and New Zealand Associations for Research in Education: The Relative Achievement of Boys and girls in New Zealand Primary Schools. Prof Crooks had combined the results from 11 years of research and multiple assessments in curriculum areas to compare the levels of achievement between boys and girls and what he found should have become more widely known. 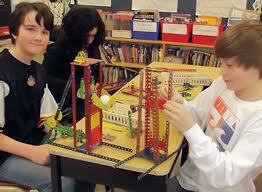 Boys scored significantly higher than girls in Science, Technology and Physical Education. Girls performed better in Writing, Listening and Art. I am concerned many of our boys are being set up to fail under our current system of assessment and heavy focus on literacy. If many boys do best in subjects like Science and Technology, and we no longer focus on those subjects, we are only limiting their enjoyment of school and feelings of success. Surely science and technology are vital to our future economic development and the fact that we are having to import people with these skills means we have large gaps in our education and training systems. Boys dominate statistics of those needing remedial support for literacy and those whose behaviours require special intervention and this just feeds a perception that boys do not do as well in school. Are we not trying to push many boys into learning experiences that do not capture their interests or allow them to excel? I wonder how many early childhood centres have hammers and nails available to play with and how many primary classrooms do practical science experiments? I know that in Southland a past science advisor (the position no longer exists) had mobile science labs constructed for all schools in the region and now most collect dust in back rooms. Martin Thrupp's qualitative research into how National Standards has changed the culture of teaching in learning in schools is revealing what many in the teaching profession feared. Our wonderfully holistic curriculum has been sidelined to meet the demands of the Government's data driven agenda and many boys are suffering as a consequence. National standards has been terrible for my daughter in a gender related twist. She had her reading age put back more than three years by her school (from well above her chronological age) because she was not seen reading science books at school so she is now only at standard. My gosh - if she is just at standard then the standard is ridiculously high and many kids will never have a hope of achieving it. Plus the reason given for her demotion is inadvertently a gender biased criteria. Reading is a transferable skill - if you are reading at such a high level you are capable of reading pretty near anything but girls tend to gravitate more towards fiction than to the non-fiction shelves. It was an inaccurate judgment anyway - just yesterday morning she was seen reading a Feynman book at home! She just got a very high mark in an international science exam so she apparently can read and understand science language more than adequately. Basically they had better not try this excuse anymore - we expect to see her put back into a group that is more reflective of her skills. Not a good experience for our family all round - knocked her confidence in a subject she excels in. Iexina, I sympathise, National Standards are an inappropriate assessment for primary aged children when they make just damning judgements. However, it does seem bizarre that your daughter be put back for not reading science books. Interesting viewpoint. As an ex-teacher, and father of three primary school aged boys I share your concerns that boys are slipping behind. However I'm not convinced national standards are to blame. National standards allow me to quickly assess how my kids are doing compared to their cohort. But it's not just me that needs to see how they compare. Boys are naturally competitive and seeing for themselves how they compare to everyone else isn't necessarily a bad thing. It can provide the impetus to get their A into G and apply some extra effort. After all, success is 90% perspiration. So whether the standards are scientifically valid or not may not actually matter, provided they are applied consistently. Looking back on my own teaching experience, I trained and taught at what was probably the height of the feminisation of the curriculum. This left a sour taste. Not only were students being rewarded just for showing up, but teachers were too. It was (and still basically is) impossible to get rewarded for excelling. That sort of environment doesn't reflect reality, and doesn't encourage effort. So I gave up and left teaching. And here is the crux - if we really want our boys to succeed, then the school environment has to better reflect the society they are born into. Where success is the reward for effort, and where a 'male' approach is just as valid as a female one. Casper, my own children are academically successful and would have done well in most education systems. However, as a teacher, I know that not all children have had the experiences and support that we provided ours. Competition works well for those who succeed but is hugely discouraging for those who do not. A rich curriculum and varied learning experiences is more likely to allow many more children to experience success than one that focuses mainly on two learning areas. National Standards have contributed to a narrowing of the curriculum and many children (not just boys) are being disadvantaged because of this. Good teachers enable all children to feel that they are successful in some way and have value as an individual. We don't prepare vulnerable children by reinforcing a sense of failure, especially at primary level. While I have some sympathy for your view that children shouldn't be praised indiscriminately for things that required little effort, I do think your example was unfortunate. Children come from a variety of circumstances and I have known a number who should have been praised for just coming to school. Children who have irregular attendance, who have to get themselves up in the morning (while their parent/parents) sleep and get to school under their own steam deserve praise. I felt a little uncomfortable reading your description of the feminisation of the curriculum as it appears to refer to caring for children rather than where their curriculum bias may lie. I do think we need more men as primary teachers because schools with a balance of male and female staff would be ideal, however, the first priority should always be that they are a good teacher. I agree, but there are basic skills such as reading for understanding, writing clearly with purpose, and fundamental mathematics which are basic requirements. This is true not only in the post school environment but in order to really make the most of those other subjects some might call fringe. It annoys me when my kids bring home work, or have it displayed, which has been checked by their teacher yet is riddled with basic errors. I’m not sure I get your point. How does celebrating success for hard work reinforce failure? Success is relative, and a good teacher will allow all children to experience success relative to their abilities. But success should not come as a matter of course. That simply engenders laziness. Yes these kids deserve praise (and support). No-one is denying this. Again, not sure the relevance to your argument. Not at all. A feminized curriculum strives for egalitarianism but at the detriment of fairness. As soon as a boy realizes that ‘prizes’ are given out based on a need to level the playing field rather than as a reward for effort they will disengage. How is this ‘caring for children’ and their needs? Boys are simple, and need rules. If it’s not fair they will move off or change the rules. This explains why girls are outnumbering boys in tertiary education. Boys from all walks of life are giving up. The prizes are not real. Casper, to an extent I think we are talking cross purposes. I would never say that literacy and numeracy aren't important, I am just saying that the focus on them is becoming counter productive when other learning areas are being sidelined. It is being forgotten that literacy and numeracy can be taught using contexts from other learning areas but we are seeing more compartmentalising of the curriculum and less effective integration. You appear to be saying that National Standards will lift teacher competency, but I doubt it. Until teaching is regarded and treated as a profession with similar status to medicine and law we will never attract the most able people (or more men). The available PD available to schools is also more prescribed and there is frustration that schools cannot access support that meets their professional needs. Focusing on National Standards does not improve teaching, and there is evidence that the hours spent on assessment, moderation and data collection is having a negative effect on teaching and learning. Teachers spend less time addressing the needs of their students and more time on measuring and comparing them. I do think children should be rewarded for effort but it seemed that you were implying that National Standards are an ideal vehicle for enabling this. You also implied that there was an over use of praise and I got the impression of a common frustration that the less able children get praised more than high achievers. Using my own children as an example, they needed less praise than others and they did not begrudge the recognition of small successes achieved by struggling children. I agree success is relative but I did not see recognition of this in your original comment. Your suggestion that boys are disengaging because of feminised egalitarian practices that are unfair is an interesting view that I believe would be hard to substantiate. Celia Lashie's research into what boys need supports your views on having clear rules, but she also established that we make unfair judgements on boys' capabilities by using narrow criteria. Most boys (around 75%) actually do alright in literacy but I am concerned about the 25% who will never experience success under National Standards. We are more likely to engage many of them if we provide opportunities in the curriculum areas where they gain most satisfaction. Other countries see science as a priority, why don't we? Most boys (around 75%) actually do alright in literacy but I am concerned about the 25% who will never experience success under National Standards. Where is the evidence that 25% will never experience success under national standards? Seems logical to me that system which strives to provide a clear and understandable evaluation of a child's ability is going to benefit the students. Not only will parents be able to get a clear picture of their child's relative abilities, free of the jargon which riddles many report cards, but teachers will get a common language on which to base their own educated assessments of their charges too. And a bell curve is so simple, even a boy can understand it! Surely having national standards is an improvement over the vagueness which has crept into the system over the last 20 years or so. Don't get me wrong. I'm not saying the scoring system is perfect (yet). And nor am I saying arts and sciences aren't important too. But you gotta read and write to do good science. There will always be exceptions who excel despite lacking the basics. But these are the exceptions. Perhaps only 0.01% of your "25%" you would rather structure the whole system to cater for? By the end of year 5, students will read, respond to, and think critically about texts in order to meet the reading demands of The New Zealand Curriculum as they work towards level 3. Students will locate, evaluate, and integrate information and ideas within and across a small range of texts appropriate to this level as they generate and answer questions to meet specific learning purposes across the curriculum. The text and task demands of the curriculum are similar for students in year 5 and year 6. The difference in the standard for year 6 is the students’ increased accuracy and speed in reading a variety of texts from across the curriculum, their level of control and independence in selecting strategies for using texts to support their learning, and the range of texts they engage with. In particular, by the end of year 6, students will be required to read longer texts more quickly than students in year 5 and to be more effective in selecting different strategies for different reading purposes. I think we will have to agree to disagree, you obviously feel that the one size fits all National Standards are the panacea for educational achievement, while I believe a rich curriculum and recognizing individual needs will serve us best. When I was at school they were screaming "school is failing girls". It was explain and test.